Health authorities throughout the world have urged people to lower their salt and sodium intake, to help reduce their blood pressure, and to lower the risk of stroke. While the 'finger of blame' is pointed at fast foods, and the obvious salty snack foods such as chips, cookies, potato fries and sauces, very few regulations have been introduced to control the amount of salt added to processed foods. It is left to the consumer to work out which foods they should and should not eat, and how much change in their diet is required to reduce sodium intake. There is a lot of misinformation about salt, foods and diets which is making things worse. For example, despite common beliefs, the major sources of salt in diets is not fast foods and obvious salt laden foods such as chips, but bread, processed meats, soups and sauces such as ketchup and pasta sauce. It is common foods such as breads, ham, soups, tomato sauce, soy sauce and pasta sauce. Does a Low Salt Diet Really Lower Blood Pressure and Reduce the Risk of Stroke? Which foods have the highest and lowest amounts of salt (gm salt per 100g serving)? Can eating too little salt be dangerous? 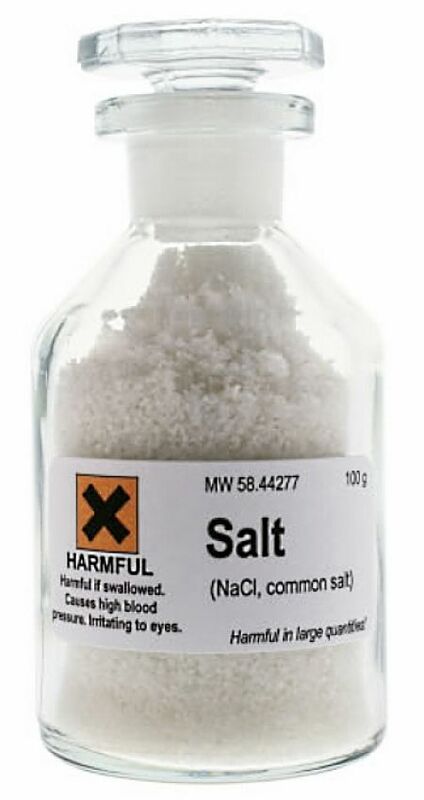 How much salt should people consume in their food to reduce the risks? Is it true that eating foods rich in potassium can counteract the effects of sodium on blood pressure? 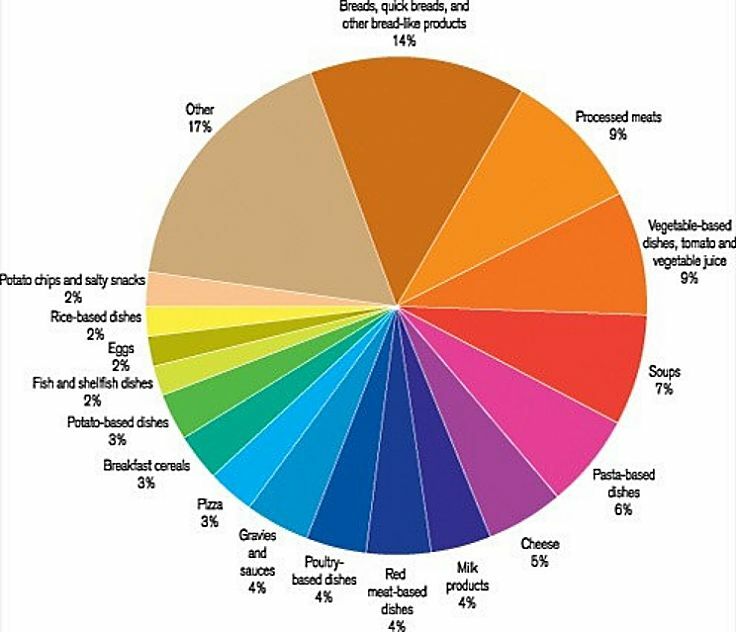 Surprisingly, bread and rolls are the major source of salt in the American diet! Obviously salty snacks like pretzels and chips come in at No. 10 on the list of salt sources. The image shows similar results for the Canadian diet. 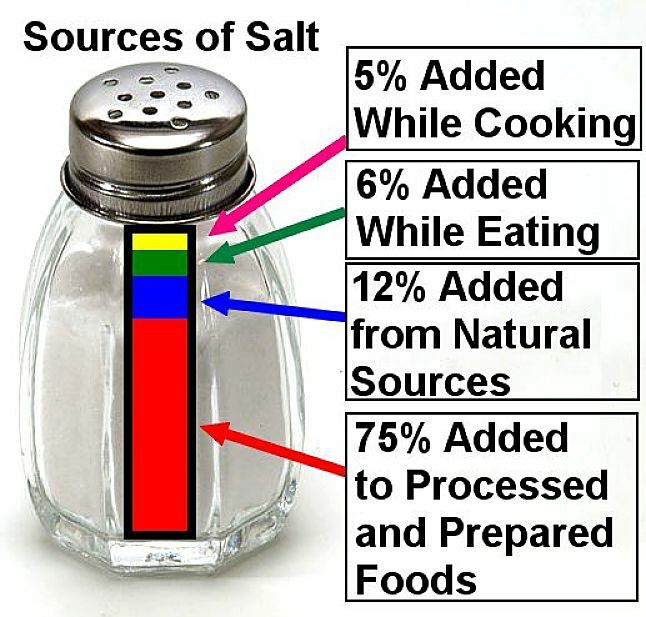 Most the salt consumed is not added by the consumer when either preparing food or adding salt at the table. 6% is added from the shaker at the table. These findings show that reducing salt intakes requires fundamental changes in diet, akin to the changes required to lose weight, rather than simply eliminating high salt snacks and fast foods. Does Reducing Salt in the Diet Really Lower Blood Pressure and Reduce the Risk of Stroke? A recent British study has confirmed a growing body of evidence that lowering salt intake does lead to lower blood pressure. 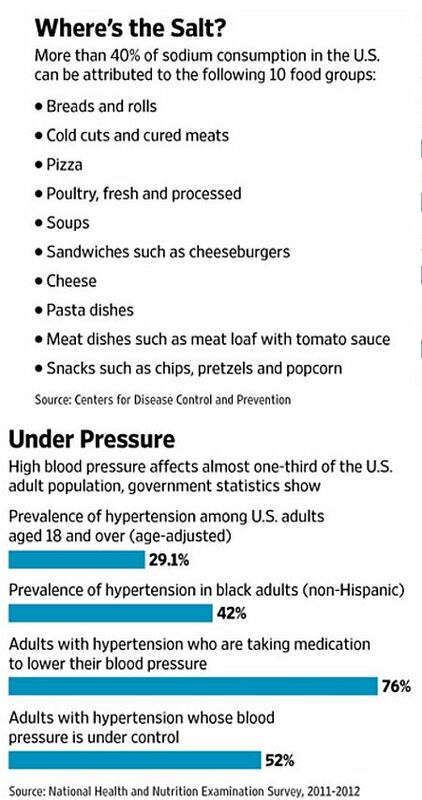 A change in diet for 4 weeks or more produced significant lowering of blood pressure in both men and women and for people with normal and elevated blood pressures. 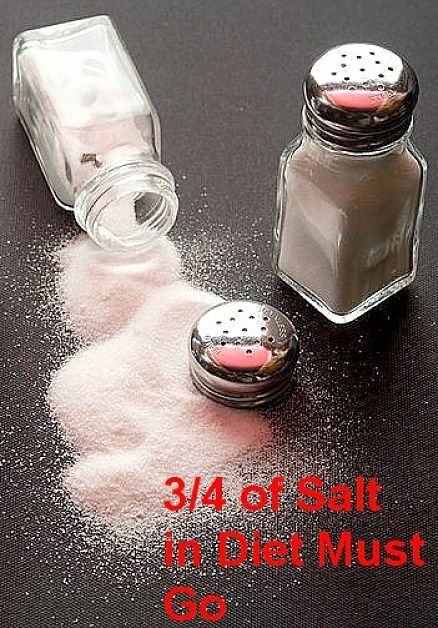 The study also showed that the greater the salt reduction, the greater the fall in blood pressure. How much less salt should people consume in their food to reduce the risks? Currently, various health organisations have recommended that people halve their average salt intake from an average of about 9-12 g/day to about 5-6 g/day. The British study showed that this will be effective in lowering blood pressure and reducing the risks of stroke. However, lowering salt intake by double this amount to 25% of current levels to just 3 g/day was likely to be much more effective and should be promoted as a health target. Can Eating more Potassium in the diet counteract the effects of sodium on blood pressure? Various major studies of the results and 22 previous research trials has shown that increased intake of potassium helped lower blood pressure and stroke. Doing both simultaneously, that is increasing potassium while decreasing sodium, boosted the reduction in blood pressure, compared with changing just one of them. This is because potassium and salt and potassium have opposite effects on the body. 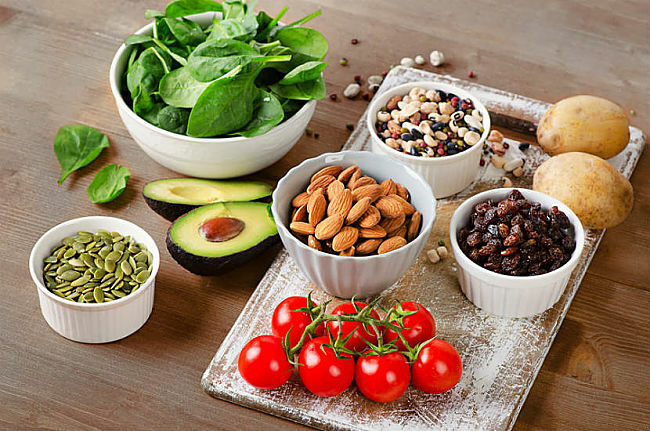 Therefore, eating potassium-rich foods such as green leaf vegetables, avocados and bananas can offset the impact of sodium on the body. Most of these foods have very low sodium levels. Can Lowering Salt Intake too much be Harmful? The simple answer to this is Yes! 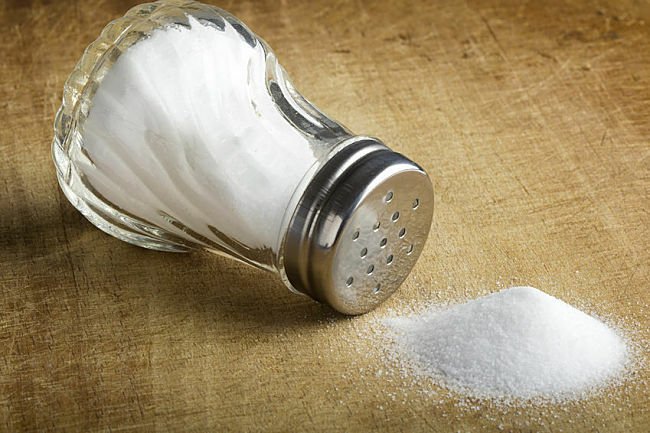 Various studies have produced conflicting outcomes and failed to show that lowing salt intake provided reduced levels of heart disease and lower risks of mortality. Avoid processed foods and high salt in prepared meals. This includes fast foods but also white bread, processed meats and sauces. White bread and bread rolls. The table below lists the amount of salt (mg) for a standard serving of 100g for 200 common foods. The standard serving may be misleading in some respects because 100g is a lot sore sauces such as soy, ketchup and tomato paste. Nevertheless it provides a standard for comparisons and should help to avoid high salt foods. The foods are listed alphabetically. => Are Muscle Cramps Caused by Salt Deficiency?